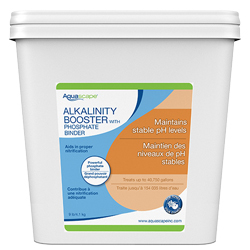 Increases Overall KH/pH and Alkalinity values of pond water. KH or alkalinity levels are important in maintaining a stable pH and aiding in proper nitrification. Lab tested and pharmaceutical grade. Dissolves completely and easily in pond water.